The Australia’s premier racing club, the Victoria Racing Club (VRC), is set to host some of the UAE’s racing, fashion and business leaders on Tuesday, 21 September at an international event designed to celebrate the milestone 150th year of Australia’s major annual thoroughbred race, the Emirates Melbourne Cup. Undertaking an extensive 220-day global tour of more than 42 destinations across Australia and around the world to commemorate the 150-year milestone, the world-famous 18-carat gold Emirates Melbourne Cup trophy, valued in excess of AED 500,000, will feature at an exclusive dinner at the Grand Hyatt Hotel. While horses trained in the UAE have competed in the Emirates Melbourne Cup since 1998, the trophy is one of the few elusive major horseracing icons never yet claimed by a UAE-based horse or stable, although UAE-owned horses have made three second-place showings previously. “We are expecting thousands of fans from the UAE and across the globe to converge on Melbourne for the 150th Melbourne Cup celebrations, as Flemington plays host to the biggest sporting and social event in the city’s history; an event that is sure to reinforce Melbourne’s reputation as the one of the sporting capitas of the world,” said Ms Lloyd-Williams. Celebrating some of the stories that have become part of Melbourne Cup history, the exclusive dinner event on 21 September will feature two champion jockeys who are well known amongst the UAE’s racing fraternity, Michael ‘Mick’ Kinane and Glen Boss. One of the world’s elite jockeys, Mick Kinane became a household name across Australia and around the world in 1993 with his win on Irish champion Vintage Crop, the first international horse to claim the Melbourne Cup. Retiring at the age of 50 with 1,500 winners to his credit, no other jockey has matched the range of Kinane’s achievements on the international stage. With a record three back-to-back Melbourne Cup triumphs, Glen Boss is Australia’s most accomplished and successful big-race jockey. His achievement of piloting the great mare Makybe Diva to victories in the 2003, 2004 and 2005 Melbourne Cups guaranteed Boss a place in racing immortality – no other jockey has achieved this momentous feat in the 150-year history of Australia’s most famous race. Celebrity Australian chef and internationally respected restaurateur, Guy Grossi, will add a distinct Melbourne flavour to the event, designing the distinguished dinner menu, which will be matched with a selection of top Australian beverages and succulent Australian lamb which will be flown in especially for the evening. “Recognising Australia and the UAE’s mutual passion for horseracing, the VRC is pleased to return to Dubai to celebrate this milestone 150th year,” said Sue Lloyd-Williams. 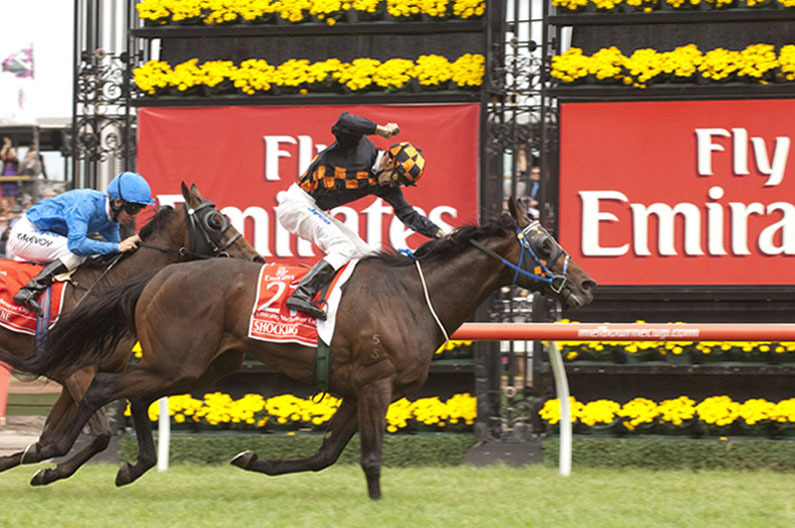 Referred to as ‘the race that stops a nationTM’, the Emirates Melbourne Cup is the richest and most prestigious handicap race in the world, with a value of AED 20.6 million. Drawing competitors from all over the world thanks to an annual invasion of northern hemisphere-trained stayers, the Cup attracts an international television audience of more than 700 million people in 120 countries and territories, with millions more either viewing or listening to the event online. It's not just the racing that brings the country to a standstill. The Melbourne Cup Carnival is seen across the globe as a model for major event corporate tourism, with around 400,000 people attending the four-day event, resulting in an estimated AED 517 million contributed to Victoria’s state economy. Fashion also plays a big role in delivering financial returns to the retail sector, with racegoers last year spending more than AED 96.5 million into the retail industry, including splurging on more than 200,000 hats, 250,000 pairs of shoes and 130,000 handbags. Each year, international celebrities, corporate sponsors, media heavyweights, and fashion’s front row gather trackside to be part of what is best described as an event spectacular. 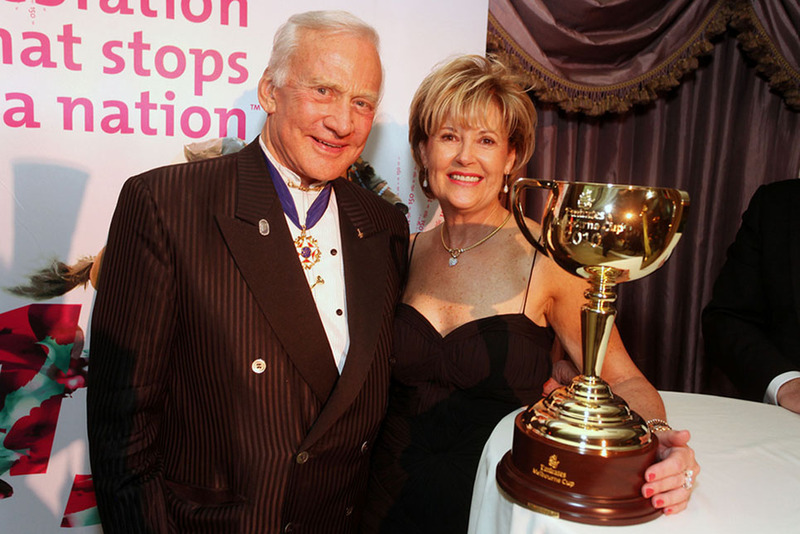 “The allure of the Emirates Melbourne Cup is that it not only captures the imagination of racehorse trainers, owners, and jockeys, but the national and international sports and culture-loving public,” said Ms Lloyd-Williams. “It’s an event that places Melbourne firmly in the international spotlight, and provides us with an opportunity to showcase the unique characteristics that make this great city such a national and international draw card. “In support of this, the Victoria Racing Club is delighted that the 150th Melbourne Cup has received endorsement from the Australian National Commission for UNESCO acknowledging it as an event of Cultural Significance to Australians,” said Ms Lloyd-Williams. Recognising the potential to develop and foster stronger international business ties within the positive and dynamic atmosphere of the Melbourne Cup Carnival, the VRC has introduced the Melbourne Cup Business Network to help facilitate networking opportunities between Australian and international industry contacts. 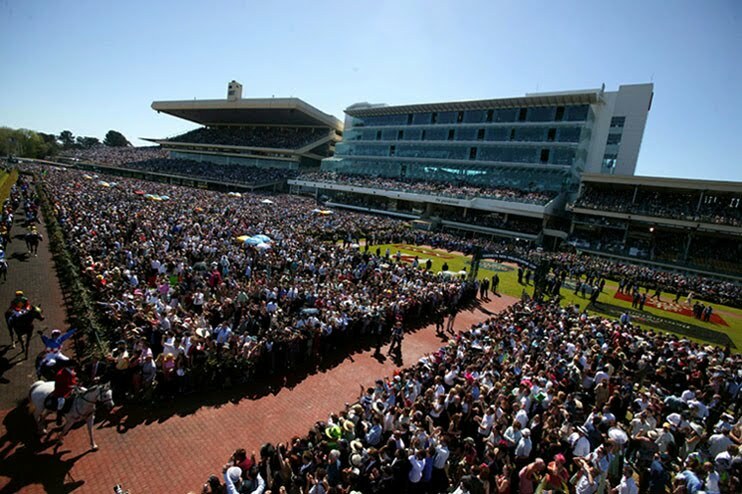 Free to join, the online Business Network offers a range of benefits including worldwide and national networking events, a personalised business matching service, access to the Australian Trade Commission’s range of services in key markets, priority access to hospitality and social events during the Cup Carnival and an opportunity to develop a relationship with the VRC. “Since its launch, industry leaders in Australia and around the world have recognised and used the Business Network as a platform to build business relationships and entertain clients across a range of relaxed environments during Melbourne Cup Carnival week,” said Ms Lloyd-Williams. “Thanks to the support of our program partners Austrade, Tourism Victoria, Invest Victoria, City of Melbourne, Seven Network, and the Melbourne Convention and Visitors Bureau, the Business Network is able to offer corporate leaders, racing industry participants and tourism operators unparalleled business opportunities within Melbourne and around Australia,” she said.